Find a Law Firm in Brockton, MA (Plymouth County). FindaLawyer123.com is a law directory that offers a comprehensive catalog of lawyers in Brockton and throughout the state of Massachusetts. 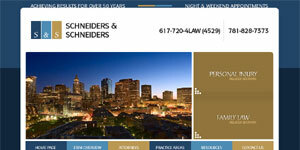 See the attorneys below or use the search tool to browse by area of practice. Massachusetts Law Home. Find a Law Firm Near You, Enter Zip Below.